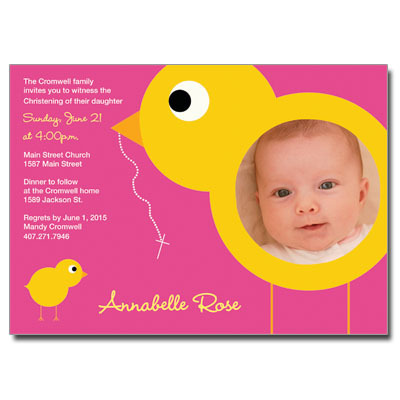 This adorable pink and yellow Christening invitation features cute chicks, a delicate cross, and simple white type paired with whimsical yellow script. Customize the design with a photo of your little one in a cleverly placed circular frame. Card measures 7x5.